Time: 11:30 a.m. to 4 p.m.
Krystal Banks, bail bondswoman and author of the book, “Don’t Be a Dumb Criminal,” has designed a special 4-hour seminar for educators and community leaders to experience a lifesaving, educational program that teaches youth and adults how to stay out of jail. 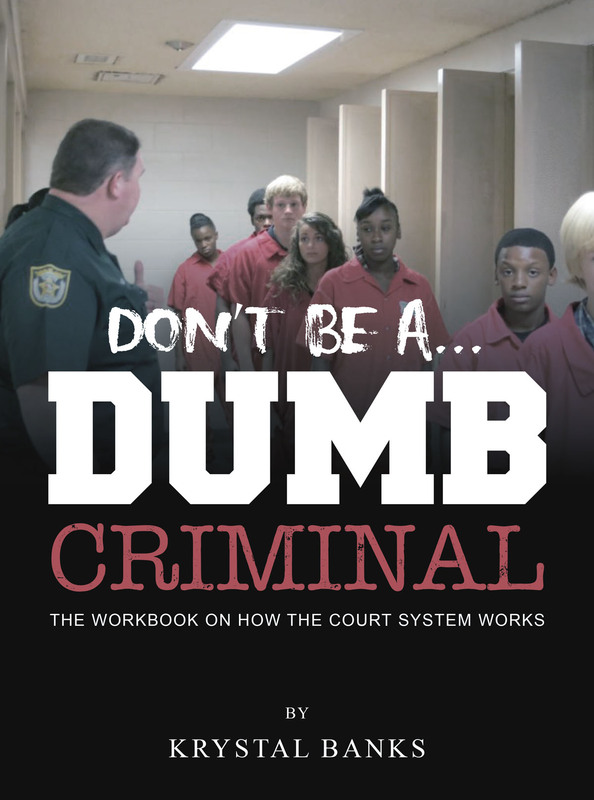 The seminar provides information and tools, including a comprehensive student guide: DON’T BE A DUMB CRIMINAL: THE WORKBOOK, developed to help parents and teachers inform our youth about crime and the law and to reinforce the use of common sense. Banks explains, in plain language, what happens during an arrest, the jail, and bonding process and how the court system works. The 4-hour seminar provides the knowledge needed when encountering the police and how to avoid unintentional illegal acts. Learn more about how the program works, what students will learn and how the program can be used at your school, church or any community group. Register Today! Krystal Banks is the owner of Banks Bail Bonds, with offices in Detroit, Port Huron, and Lapeer, serving the needs of individuals throughout Michigan. She’s been a bail bondswoman for 18 years and is the only African-American female property bail bondswoman in Michigan. Banks is the creator of the free Banks Bail Bonds app that mirrors the company motto, “Bail Before Jail,” to help people quickly gain their freedom from jail. An author and speaker, she talks to youth and parents at schools about how to navigate the system and assists those with a criminal background get back on track with resumes, interview prep, and job placement. Banks and her expertly trained team are dedicated to changing people’s lives by educating them about their legal rights and the judicial system. Connect with Banks on Facebook, Twitter, Instagram, and YouTube.